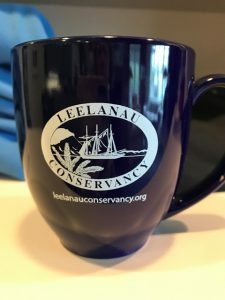 There are plenty of great Leelanau Conservancy products and apparel available for purchase. Give them as gifts, or get something for yourself! Go online to custom order a number of items not pictured here via Alfie Embroidery–fleece, jackets, blankets, a cooler and more. Choose your item, color, size and graphic. Our supplier, Alfie Embroidery, will process your order and ship it to you. So easy! Stop in to our office or call to order the items pictured below: We and answer your questions about colors and sizes available. Please ask for Molly: 231-256-9665 or email her at [email protected]. You are also welcome to stop by M-F 8:30am to 5pm to look through our store in person. The office is located at 105 N First Street in Leland. 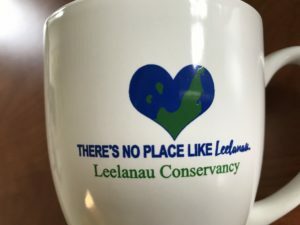 There’s No Place Like Leelanau Hat, white. 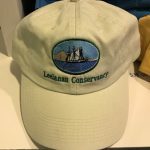 Leelanau Conservancy Logo Hat, yellow. This baseball cap is ideal for keeping the sun off your face as you hike the trails at Leelanau Conservancy Natural Areas. The shell is 100% cotton and it features a nylon mesh lining to keep your head cool on a hot day. An adjustable strap helps keeps the hat snug. One-size fits most. $18.00 plus shipping. Who doesn’t love the outline of our beloved peninsula? 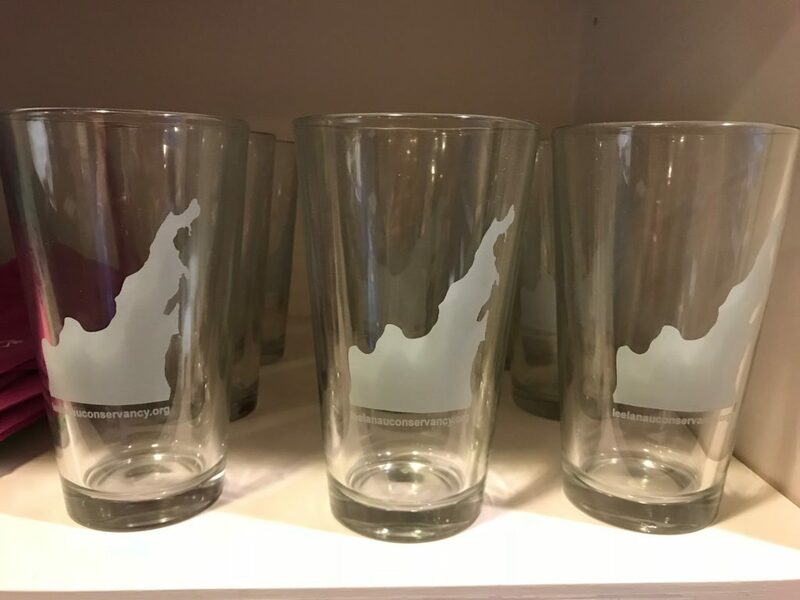 Great for milk, beer, or iced tea. $8 each. 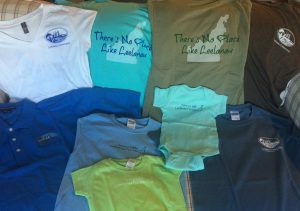 We offer a varied selection (not all pictured) of Leelanau Conservancy shirts for men, women, and children. Please call our office (231-256-9665) for more information on colors, sizing, and price. 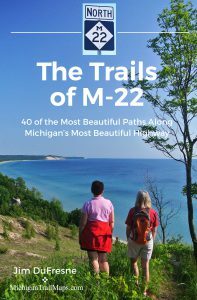 This beautiful book features Leelanau Conservancy trails (among others) along M-22. Get your copy today! Online ordering is available! 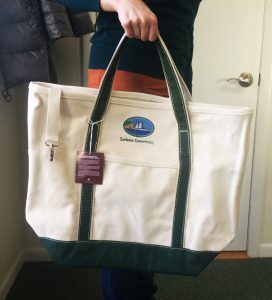 This heavy duty tote bag is a must have for your next trip to the farmers market or winery. Made of sturdy canvas, the tote features ample space and inside panels that store flat; use them to keep wine bottles separated, or tuck them away for more space for that watermelon. It even includes a key clip, so your keys won’t get lost in the mix!